Kashmir Tour Operators Pride of Holidays Based at summer capital city of Jammu and Kashmir state, Srinagar India, Pride of Holidays is a registered travel agency, registered by department of tourism Jammu and Kashmir. 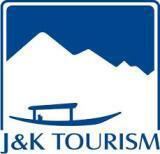 We provide customized tour packages for Kashmir, Jammu, Ladakh, from across the globe, particularly from India. Our Kashmir Tour Packages from Delhi, Mumbai, and Gujarat are very popular among Indian tourists, while as our Srinagar tour packages from Andhra Pradesh, Telangana, Karnataka, Kerala and Tamil Nadu as well as the union territories of Puducherry, Lakshadweep are designed to suit the taste and travel preferences of tourists visiting Kashmir from South India, Besides that we have highly customized tour packages for Ladakh and Himchal, from Chandigrah and Delhi, Kashmir Tour Operator Pride of Holidays provides best Leh Ladkah- Himchal Bike Tours and Srinagar Ladakh Himachal Bike Tours. Set up almost 7 years ago, Pride of Holidays India is an example of hard work and dedication, based in Srinagar, India. We started our operations in the year 2010, with a small office and just two staff personals. In the beginning we had to face tough competition from the well established business in the tourism industry but we faced the challenged with dedication to succeeded, because of our handwork and the quality of services that we offered to our clients, we where able make our mark in the field in the same year we received some good business from our travel associates in different states of India and our journey of providing world class package tour services for Jammu and Kashmir began. In last seven years Kashmir Tour Operator Pride of Holidays has grown its business manifolds both in terms of revenue and relations we have B2B partners in almost all state capitals of India, while as our customer base has increased beyond our exceptions, we are getting more business through referrals than we get through our advertising, this stands witness to the quality of services that we have provided to our valued clients over the years, and most importantly we have not just added new valued business clientèle but we have kept the older ones as well. Our travel associates team strives for growth and increased revenues, but the underlying objective and the single minded goal remains “total customer satisfaction”. We aim to provide our clients the best value for their hard earned money and unmatched service quality throughout the state of Jammu and Kashmir and Himachal. 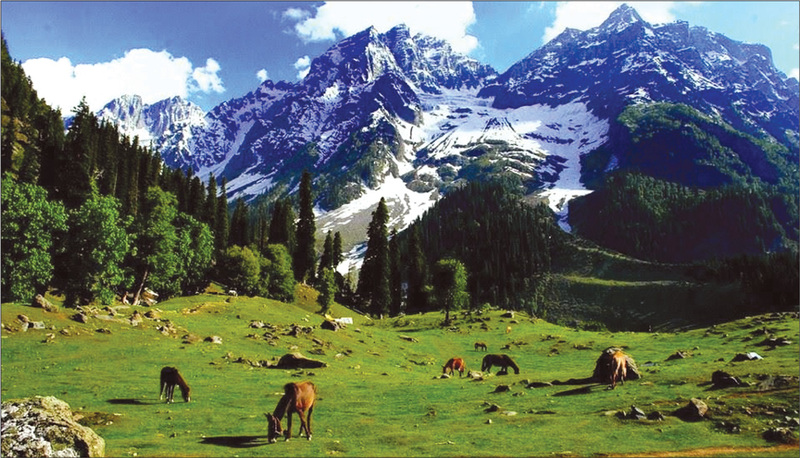 Kashmir Tour operator Pride of Holidays of keeps upgrading its service standards, and we continuously benchmark our services against the finest and the best known brands in our Industry. Kashmir Tour Operator Pride of Holidays offer a comprehensive range of holiday Packages in Jammu, Kashmir, Ladakh, and Himchal, including Cultural, Religious, Adventure, Wildlife, Culinary, Family oriented, as well as Sporting Holidays. Services provided by Pride of Holidays, include Hotel and Transportation arrangements, Sightseeing tours and excursions, booking of flights and Train tickets, arrangements for Conferences, Conventions, arranging Golf tee times, Special events etc. Our Package Toursinclue all the exotic tourist locations of Jammu and Kashmir state like Srinagar, Gulmarg, Pahalgam, Sonmarg, Yousmarg in Kashmir and Katra, Patnitop in Jammu division Leh Ladakh, Shimla, Manali, and many more. Why Pride of Holidays Kashmir? The team: When you choose Pride of Holidays Kashmir Travel Agents to handle your travel arrangements, you can be assured that your travel will be managed by an experienced professional, with first hand knowledge of the logistics and complexities of travel in the state of Jammu and Kashmir. The Sense of security is the first priority that we extend to our clients and make sure that there are no compromises regrading the same on the ground throughout the tour. The network -When you choose Pride of Holidays to handle your travel arrangements, you can be assured that your travel arrangements will be backed and supported by an infrastructure second to none in state. Our vast network of local representatives and affiliate offices ensures that itineraries of all our clients operate seamlessly. Pride of Holidays also has resident representatives in the Leh, Himachal and Jammu, and all the representatives have an intimate and first hand knowledge of the respective region and the destination. 24 x 7 Customer care – While you are traveling with us, you will have access to our 24 x 7 Customer care. Pride of Holidays has excellent working relationships with a large number of hotels spread across different regions of the state of Jammu and Kashmir and Himachal and we offer our clients a variety of accommodation, ranging from basic 2 star Hotels and Guest houses, to the finest Luxury hotels. One thing that sets us apart, is the fact that every hotel, or even smaller lodging that we use and recommend, has been personally visited and inspected by a senior member of our staff, so quality standards are carefully monitored, and so are the standards of safety and hygiene. Luxury transportation Pride of Holidays operates it's own fleet of tourist vehicles in Kashmir region. Our fleet of vehicles is driven by experienced drivers, all with impeccable credentials and excellent safety records. Our fleet of vehicles is equipped with safety and comfort features, and none of our vehicles are over 3 years old.